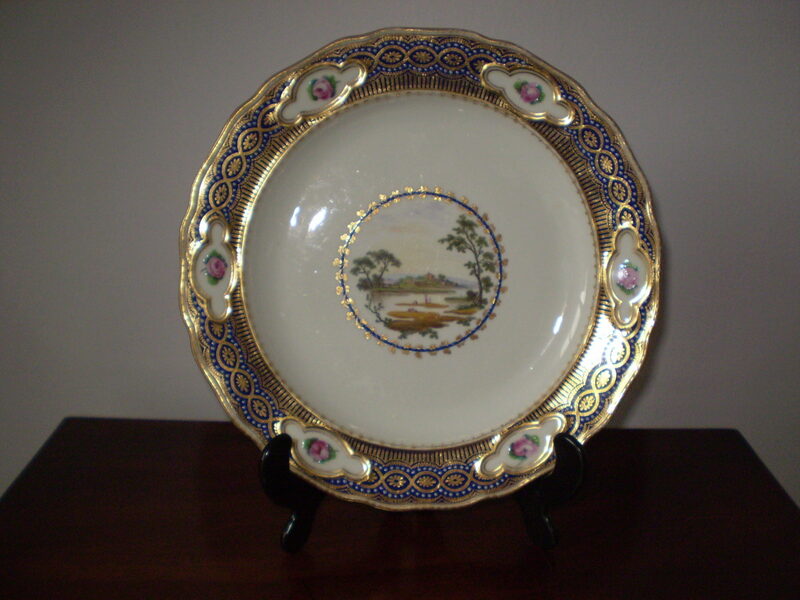 Description: A very fine Derby dessert plate painted by Zachariah Boreman with central landscape scene and figures, the gilded border with moulded panels each painted with a single rose. Puce mark C1785. 22.5cms wide.